Easy and exciting enough for children and adults alike, snorkelling offers an incredible sense of freedom. 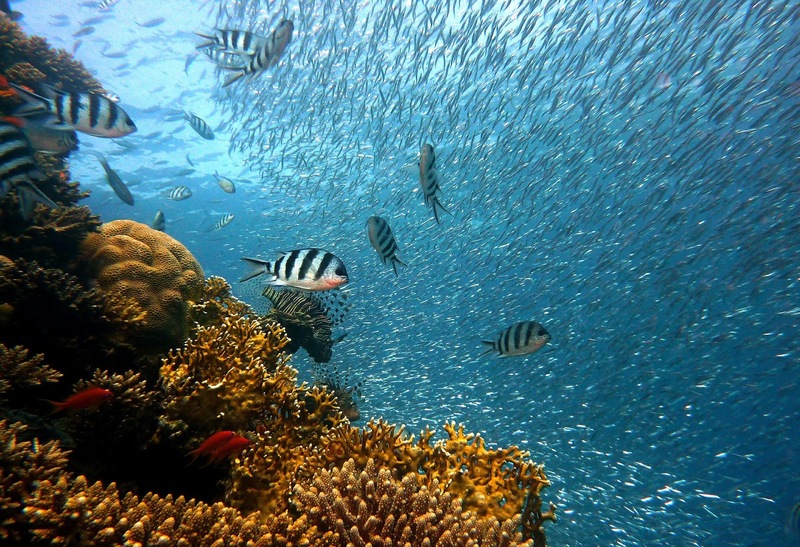 The world abounds with great snorkelling destinations for the perfect vacation activity. As suppliers of fresh fish in Malta, our team at Azzopardi Fisheries St. Paul’s Bay has compiled a list of some of our favourite submerged wonderlands that will leave you wishing you were a permanent underwater inhabitant. It’s impossible to start off a blog about the world’s best snorkelling spots without mentioning the largest coral reef ecosystem in the world! The renowned Great Barrier Reef actually consists of almost 3,000 individual reefs that stretch over 1,400 miles off the Australian shoreline. Eye-popping coral, brilliant marine life, Barracuda, manta rays, and the bones of ships that crashed on the reef all make the Great Barrier Reef a must-visit destination for ocean aficionados. Home to the second largest barrier reef in the world, Belize offers many opportunities to get up close and personal with eels and rays, and feast your eyes on a kaleidoscope of brightly-coloured fish and coral sunken beneath the turquoise Caribbean waters. And for the more courageous, this is one of the best places to live out your swimming-with-sharks fantasies. For those who are also into scuba diving, this is where the famous Blue Hole is located. Other than the unique massive lizards that live on this rugged island, Komodo also hosts some fascinating inhabitants underwater. Visitors have the choice of swimming with rays and turtles in the undersea garden that grows at Pink Beach. Alternatively, the sea surrounding the Komodo National Park offers unmatched underwater exploration with over 1000 species of fish, a flourishing reef, huge Manta rays, as well as 14 types of endangered whales, dolphins, and giant turtles. With its white sandy beaches, exciting forest trails, and absence of private cars, the wilderness wonderland that is Ilha Grande feels largely untouched. Hike through the island’s monkey-filled jungles, dive into the warm waters of Lagoa Azul, ogle the underwater coves, swim with seahorses, and follow a turtle through a sunken jungle in this natural paradise. The Galapagos, made up of 19 volcanic islands, are truly out of this world. They offer a glimpse into the natural world of iguanas and tortoises that inspired Charles Darwin, and some of the creatures that call the awe-inspiring Galapagos home can’t be found anywhere else. Beneath the waves is a diverse world of marine life, where snorkelers and divers alike can get up close with sea turtles, Galapagos penguins, fur seals, sea lions, dolphins, orcas and humpback whales in their natural habitat.